Sony offers a wide range of phones to suit a range of budgets. From large screen to compact, our Sony mobile phones collection features the full Xperia range. Experience the latest in Sony innovation, from the groundbreaking Motion Eye camera to BRAVIA TV display technology that fits in your pocket. 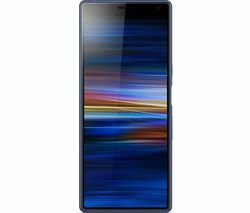 The popular Xperia range has grown to include the latest generations of the Xperia XZ, Xperia XA1 and Xperia L1, all of which use the Android operating system. You can choose from a range of smart, muted, nature-inspired colours and enjoy spectacular graphics, battery life and stunning camera images. Xperia XZ is Sony's latest flagship range. The XZ packs an impressive 23Mp rear camera with triple image-sensing technology, a 5.2in full HD screen and a Snapdragon 820 processor. Its polished metal back gives a matte finish rather than gloss, which is great for masking fingerprints. The XZ1 takes things up a gear, with Motion Eye camera, HDR display, Qualcomm Snapdragon 835 Mobile Platform and 3D Creator, which allows you to scan a 3-dimensional object, share on social media and print in 3D. 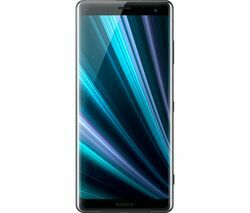 If you prefer your phones in a more portable size, the Xperia XZ1 Compact Sony mobile phone is small but packs a powerful punch. It features a 19Mp Motion Eye camera with Super Slow Motion that records 960 frames per second – four times more than most other smartphones. Autofocus captures a burst of motion in sharp focus, for no more blur, and predictive capture automatically captures motion and smiles before you even click. With a 120° field of view, you can take super-wide selfies and fit more people and scenery into your shots. Samsung mobile and Nokia mobile.